Mint for Everyone – And Why It’s Going to Stay That Way! 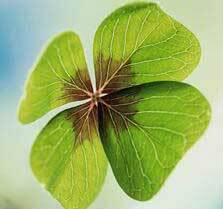 Another St. Patrick’s Day has come and gone, and it’s time to put away the lucky green shamrocks. 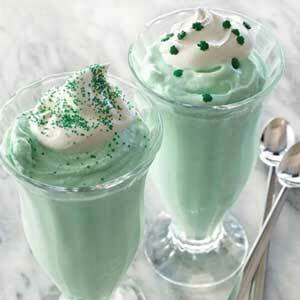 The days of the minty guilty pleasure known as the Shamrock Shake are coming to a close for 2013. But before we say good-bye to it for another year let’s talk about the Shamrock Shake’s key ingredient and one of the favorite flavors of St. Patrick’s Day: Mint. Mint is everywhere this time of year. Chef Clodagh McKenna, dubbed the “Rachael Ray of Ireland,” celebrated her St. Patrick’s Day with traditional Irish black pudding: a baked breakfast item of fresh blood mixed with oatmeal, allspice, nutmeg and fresh mint. Personally, I prefer my own mint added to a dash of Bailey’s Irish cream in a cup of freshly roasted coffee. We all have different uses for mint throughout the year. Holidays, special occasions, and brushing our teeth would be very different experiences if we didn’t have access to it. But if things had gone differently with a trademark case we might have had to learn how to cope without it. Recently a pharmaceutical company, Pohl-Boskamp GmbH & Co, attempted to actually trademark its peppermint flavor and scent for an oral nitroglycerin spray for chest pain! The key issue was whether the peppermint flavor and scent were functional to the chest-pain spray or not. If it was functional, the pharmaceutical company couldn’t have a federal trademark for its product (which would eventually give the company exclusivity to the peppermint). To support its trademark application, the pharmaceutical company argued the peppermint in the spray didn’t actually have any therapeutic value and wasn’t needed to mask the nitroglycerin, which is odorless and tasteless. No functionality at all. However, the U.S. examining attorney cited a U.S. Patent No. 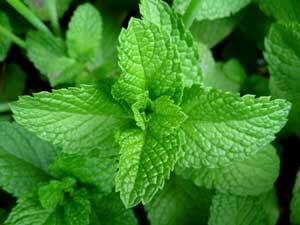 6,559,180 which provided evidence that even though peppermint oil is inactive in a spray, peppermint oil used in nitroglycerin spray could improve the spray’s effectiveness. Place competitors at a significant disadvantage, as competitors would either have to avoid using peppermint oil or find a way to mask its taste. Impermissibly prevent the future use of therapeutic peppermint oil by others in applicant’s field, frustrating the policies expressed in Qualitex Co. v. Jacobson Products Co., 514 U.S. 159 (1995). So the pharmaceutical company didn’t have the luck of the Irish when it came to cornering the market on peppermint. Maybe it should have looked a little harder for a four-leafed clover or counted its Lucky Charms (after all, they’re magically delicious)! Want to know more about the trademark process? Ask Us about our FREE Trademark Process Flowchart at Dodge Legal Group, PC.